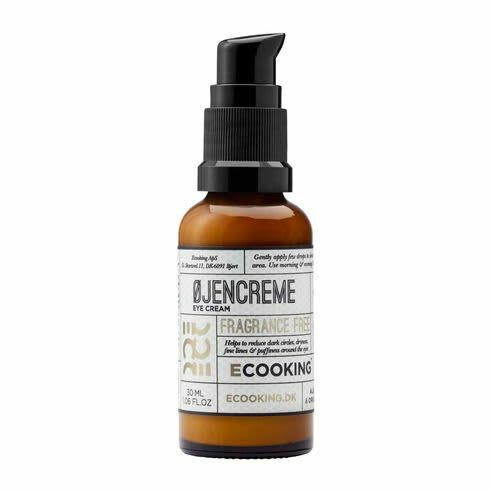 The Ecooking Eye Cream is designed to reduce dark circles, fine lines and puffiness around the eye area. The delicate skin around your eye area becomes thinner with age. Tiredness, sun damage and aging can cause the Collagen of your skin and it's natural elasticity to weaken. Material: Made from 100% organic and natural ingredients. Packaged in a glass bottle with pump.